DZ BANK has renewed its partnership with EHF Marketing GmbH for the second VELUX EHF FINAL4. EHF Marketing GmbH, the marketing arm of the European Handball Federation, has signed up a further company to become a partner of the VELUX EHF FINAL4. The Germany-based DZ Bank is to renew its partnership for a second year following the success of its engagement at the inaugural VELUX EHF FINAL4 in 2010. The Bank will promote its AKZENT Invest brand throughout the two-day final phase of the VELUX EHF Champions League in Cologne. The AKZENT Invest brand will be integrated throughout the VELUX EHF FINAL4, including animation sequences on the LCD perimeter advertising system, on-court advertising, as well exposure through logo presence on the official website at ehfFINAL4.com, interview backdrops and branding materials. An important part of the package will be the VELUX EHF FINAL4 corporate hospitality programme, which will allow DZ Bank to entertain clients and business partners from the comfort of a VIP Box in the LANXESS arena. The VELUX EHF FINAL4 will take place on 28 and 29 May 2011 in Cologne, Germany. The two-day event will see the top four men’s teams in Europe competing for the premier title in club handball. Over 19,500 spectators will watch the event live in the LANXESS arena and a TV audience well in excess of the 44 million that followed the 2010 event is expected. The DZ BANK Group forms part of the German cooperative financial services network, which comprises more than 1100 local cooperative banks and is one of Germany’s largest private-sector financial services organisations measured in terms of total assets. Within the cooperative financial services network, DZ BANK AG functions both as a central institution for more than 900 cooperative banks and their 12,000 branch offices and as a corporate bank. 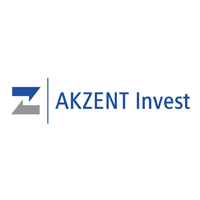 AKZENT Invest is a leading brand from DZ BANK for the investment certificates market. DZ BANK AG, which has its headquarters in Frankfurt am Main in Germany, is the corporate bank behind the brand. Through AKZENT Invest, a leading service provider on the growing certificate market, DZ BANK offers attractive investment solutions reflecting the core principles of quality and transparency.